Maple Roch is named after it's owner, Roch Fortin who served in the Canadian Armed Forces for 32 years. From the heart of the Okanagan, Roch and his amazing team now serve an iconic Canadian product - Maple Syrup from trees grown in the Summerland area. Producing over a hundred barrels a year, the team works with local craftspeople to produce a truly delightful syrup and plethora of tasty treats. 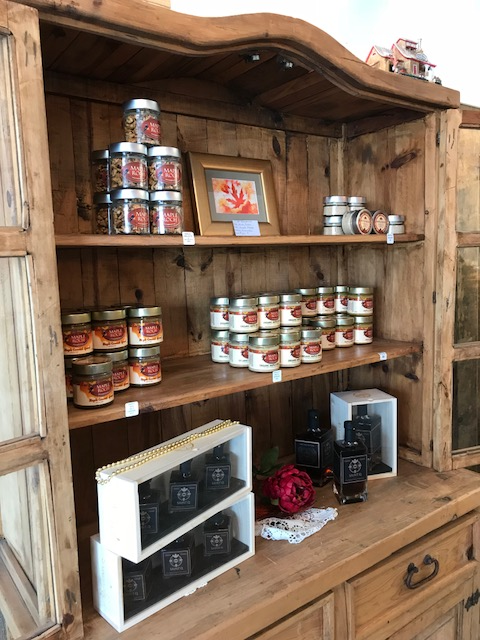 We arrived for a tasting expecting your standard syrup samples but were treated to Maple Roca, decadent brie toppers, granola and yes - maple candy, a low calorie twist on cotton candy that is simply divine. Bonus, their products are organic and support local producers and food artisans in Summerland. Be sure to ask for a tasting and tour, it's well worth your time. Roch Maple employs individuals with disabilities making it one of our sweetest Vagabond picks and a must-taste stop in the Okanagan. Join the tribe! Sign up to receive local gems, insider secrets and content about the Okanagan Valley. Thanks for signing up. We're thrilled to welcome you to the Okanagan Valley Vagabond tribe. We need to confirm your email address. To complete the subscription process and receive your FREE DIY Trip, Taste of Kelowna, please click the link in the email we just sent you. Thoughtfully created by fresh & nimble design co.